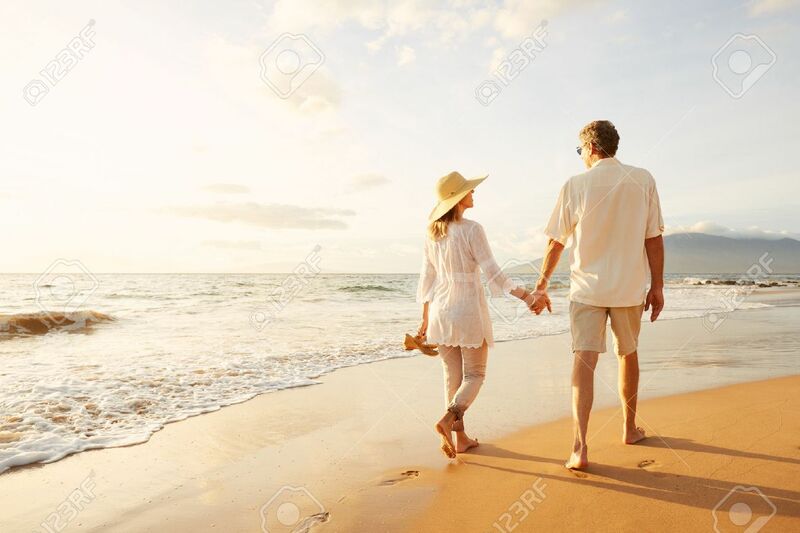 Happy Romantic Middle Aged Couple Enjoying Beautiful Sunset Walk On The Beach. Travel Vacation Retirement Lifestyle Concept 免版權照片，圖片，畫像及圖片庫. Image 49643671.